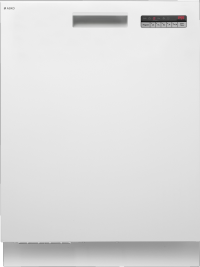 Built-in dishwashers are the popular first choice for home owners and renovators. Synchronised kitchen flow is easily achieved when cabinetry and appliances fit seamlessly, with more room to move, larger work space, and nowhere for dust and crumbs to gather. It could be time to consider ditching your inefficient freestanding kitchen products cluttering up the place and replacing them with ASKO built-in dishwashers and other kitchen appliances. 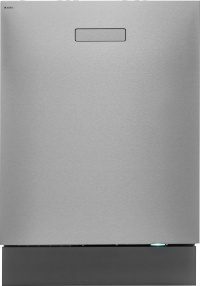 Why should I choose a built-in dishwasher? The simple fact is that in most situations built-in appliances are better. Modern Australian homes boast large kitchens that double as gathering spaces for friends and family. Built-in kitchen appliances provide the clean and spacious feel that is easy on the eye, and dishwashers are part of the plan. Make no mistake, the ASKO dishwasher appeal can remain on show, with the classic minimalist exterior concealing sturdy workmanship and a powerful motor that is always ready for dishwashing action. With built-in appliances, there are no gaps on your kitchen countertop. Spills are easy to wipe up and you won’t need to spend hours cleaning nooks and crevices while on hands and knees. 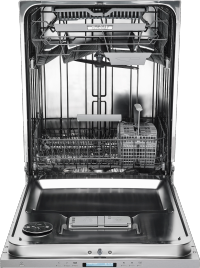 While the ASKO appliance exterior serves its purpose admirably, the real action goes on inside the dishwasher. The inspirational range of ASKO dishwashers for Australian homes utilise the latest computer technology in harmony with superior manufacturing processes to provide a revolutionary range of programs and features. Are built-in dishwashers a standard size? Unless yours is a bespoke kitchen designed by a professional cabinet maker, your kitchen cabinetry will be of a standard size. This allows premium appliance manufacturers such as ASKO to design dishwashers and other products that fit seamlessly as part of a new build or kitchen renovation. It also allows ASKO to offer Australians a huge range of products to choose from. ASKO XL 82cm and XXL 86cm dishwashers are the perfect fit for home owners who expect innovative and versatile high-end products at affordable prices. Are built-in and fully integrated dishwashers the same? ASKO products aren’t designed by chance. 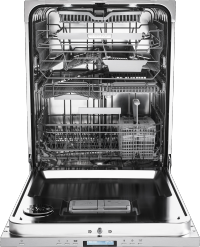 All our dishwasher models share unique features, while also boasting individual styles and purposes. Our aim is to provide the user experience you need to get your kitchen humming along nicely with a built-in or fully integrated dishwasher. With ASKO, you remain in charge of design choices, whether it be a built-in dishwasher with the door visible, or a fully integrated dishwasher, where matching panels are used to conceal the appliance within surrounding cupboards and cabinetry. There are, however, some design features of all ASKO dishwashers that set them apart from the competition, while also resulting in superior water and energy efficiency. Today’s appliances are a quantum leap from those of yesteryear, including dishwashers that adapt to your changing needs. If you are remodelling your entire kitchen, you can even take advantage of ASKO ProCare+ for more savings and additional after-sales service and care. Built-in and fully integrated appliances are here to stay. They are a key element of high-end kitchens that utilise technology for saving time and money. Whether you have an expansive entertainer’s kitchen or a smallish apartment kitchen, your space will be optimised with built-in appliances that look great and function even better. Here are a few special features of ASKO dishwashers. With ASKO dishwashers, pre-rinsing dirty dishes is a thing of the past. Super Cleaning System+ performs a powerful pre-rinse before the main wash cycle even commences, saving you time, money, energy and effort. Simply shake food scraps off dishes and load them directly into your ASKO dishwasher. Turbo Drying is an ASKO feature initiative that allows your dishwasher to remove moisture at the end of the cycle. Dishes and glasses come out dry and streak-free, allowing you to stack them cleanly away, or re-use them immediately to keep the party going. Some ASKO dishwasher models feature Turbo Drying Express that pumps additional hot air to assist evaporation, dramatically shortening drying times and saving you even more money. Anyone familiar with ergonomic advantages will appreciate ASKO built-in dishwasher baskets that glide open on stainless steel telescopic rails. Loading and unloading is easy when awkward angles are taken out of the equation, and ASKO XL and XXL dishwashers are built for sturdy performance, with convenient features that make heavy duty housework lightweight. It’s well known that stainless steel outlasts plastic. It is also more hygienic, odourless, and resistant to discoloration. 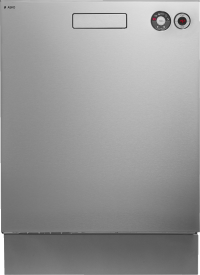 Stainless steel components of ASKO dishwashers include the stainless-steel liner, spray arms, water connections, FlexiRacks, wine glass holders, filters, runners and a concealed heating element. Standard ASKO Dishwasher models provide an external height of 82cm and a loading height of 54cm, allowing plenty of space for all types of kitchenware. The XXL models have an external height of 86cm and a loading height of 58cm, making them among the most spacious dishwashers available. Personalise your dishwasher selection by choosing an appliance with adaptable rack and basket configurations. Let your ASKO appliance do the washing up your way, with flexible arrangements for cutlery baskets, knife holders and other space saving innovations. 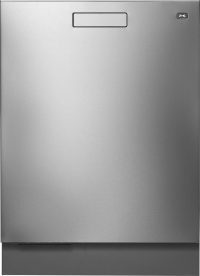 What are the best built-in dishwashers? 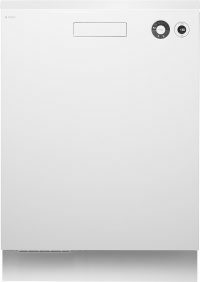 The ASKO range of built-in dishwashers for Australian homes is extensive. The appliance you choose should suit the nature of your household, yet also be adaptable for performing various types of dish washing duties. Here are some innovative programs and features worth investigating with ASKO built-in dishwashers. The best built in dishwashers are manufactured to last for many years of reliable service. That’s why they can be built into cabinetry as a permanent feature. 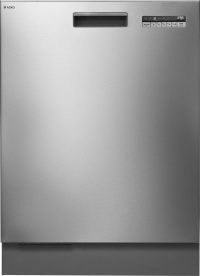 ASKO dishwashers are showy products on the outside, and they have tough, no-nonsense cleaning attitude concealed within. ASKO focuses on highest quality materials for superior appearance, performance and energy efficiency. Is built-in dishwasher installation easy? With an Australia-wide team of trained service professionals ready to support you, choosing ASKO makes good sense. Whether you require product installation, demonstration, service or maintenance, we are ready to help. You can contact your local ASKO service representative over the phone, or by using the convenient online booking system. We can even get rid of your outdated old dishwasher for you. How do you remove a built-in dishwasher? You may be considering moving at some time in the future, so you will be pleased to know your ASKO dishwasher can go with you. Your dishwasher has power, plumbing and drainage connections, so it’s recommended to employ the services of professionals to safely disconnect and re-connect fittings. Whether you are retrofitting an existing kitchen or commencing a new build, ASKO solutions are the simplest and most transformative. You will experience same-day appliance operation, and once installed, your ASKO dishwasher is ready for years of hands-off cleaning. In fact, ASKO dishwashers even incorporate appliance self-cleaning programs for the ultimate convenience. ASKO dishwashers are relatively light, although very stable, and the single-piece, durable components can withstand removal, transportation and relocation without missing a beat. ASKO are classy appliances that aren’t afraid of tough dishwashing action. What are some other advantages of built-in dishwashers? Do built-in dishwashers save water? 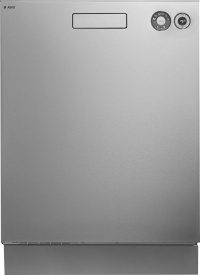 Where can I find out more about ASKO built-in dishwashers? There are a lot of dishwasher options to consider, and your purchasing decision shouldn’t be based on price alone. In most cases, it’s wiser to save a little longer for a quality appliance from a highly regarded manufacturer. 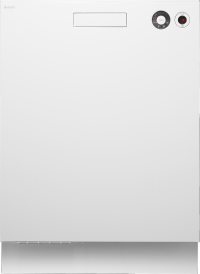 Fortunately, ASKO dishwashers are high-end products that regular Australians can afford, and with over 600 ASKO agents Australia-wide, there is probably a retailer near you. A visit to your local appliance showroom should provide you with an introduction to ASKO appliances favoured by Australians. When purchasing an ASKO product, you gain access to a national network of sales, installation, service and repair personnel who are all ASKO-trained. You are assured of uninterrupted performance and a rapid response to any concerns for the lifetime of your built-in dishwasher.